The project is a joint venture with the Cardiology department at Mater Dei Hospital, the Ministry of Education and Sports and the University of Malta. The study group aims to identify high risk adolescent individuals attending 5th form in all Maltese and Gozitan schools. This age cohort will take advantage of both the education system in Malta where education is compulsory whilst also offers the potential for a large recruitment sample (estimated to be 3500-4000) as students will be clustered in the class room. 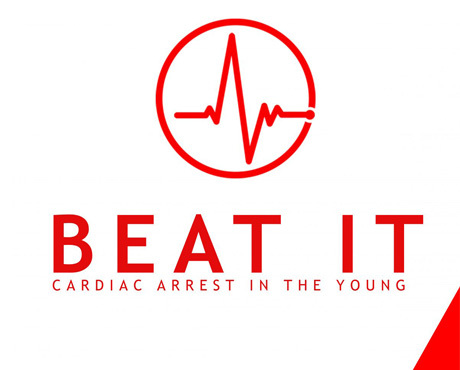 Sudden cardiac death (SCD) in the young is a rare phenomenon which has taken prominence over the past few years as a result of deaths in a number of high profile sporting individuals. Though rare, the biological, psychological and social implications in these instances are significant for both the victim’s family and friends, together with the economic ramifications as a result of the victim’s years of life lost. Individuals are often young, well and presumed to be healthy, which makes the consequences all the more difficult to accept. Causes of SCD are often hereditary, leading to primarily electrical or structural abnormalities (muscle, valve, function) in the heart. Subjects with these abnormalities are more likely to trigger dangerous complications which may give rise to such an event. These events are most often precipitated by exercise, which is which is why cardiovascular (CV) screening is routine in most sporting disciplines. Ever since the introduction of pre-participation screening, death rates from SCD have been shown to be declining significantly, to the extent that non-athletes in the general population (non-screened individuals) are now at a higher risk for SCD. Promoting safe exercise is crucial, with younger individuals presumably more active than their older counterparts. A number of studies have shown that teens and mid 20/30 year old individuals are at a higher risk for SCD (compared to the remaining age groups) when the substrates for these conditions are present. The small gene pool in the Maltese cohort offers the necessary concoction for a genetic cataclysm. As has been reported in diabetes mellitus, thalassemia and congenital tufting enteropathy, abnormal genes are more prevalent locally compared to international data as a result of the gene pool. A number of the disease states contributing to SCD have been shown to be more prevalent on certain islands in the Mediterranean, with Naxos disease particularly prevalent in certain Greek islands. We do know that a significant proportion of subjects with pathologies which may contribute to SCD are currently being referred to local specialty clinics, implying that disease entities like Brugada Syndrome and Hypertrophic Cardiomyopathy in particular, both of which can cause SCD, seem to be commoner than initially anticipated compared to international data. Results are however preliminary and not yet published officially. PPatients with such abnormalities are at higher risk for exercise related symptoms. When screening at schools the physical education (PE) teachers will be given advice and information during formal sessions, with a seminar for all teachers taking place prior to the initiation of the study. Symptoms during exercise may be downplayed if educators are not aware of potential problems, thus serving as a learning platform for teachers. Those students who would be participating will have an on-site screening session which will take place during the PE lesson. ECGs will be carried out on all the attendees, together with gathering of all pre-filled questionnaires and consent forms. Students who are targeted at risk of SCA will be referred for further screening and research. The project started at the end of 2016. Dr Mark Abela is the lead investigator in this project.